It’s not every day that you get taken hostage on the job, but when the opportunity arises I say, Take it. This is my second summer interning for the Kitsap Sun, and today I was sent out to cover the State Patrol SWAT team training at Camp Wesley Harris off Seabeck Highway. I got a brief rundown of what to expect after talking with Cpl. James Prouty last night. He said I would spend the day by his side, basically trying to stay out of the way while getting the information I needed. When I arrived in the morning though, I was greeted by Washington State Patrol Lt. and SWAT Cmdr. Ron Mead, who offered me the chance to see the events unfold from inside. “You want to be a hostage?” he asked. After going through a security check to make sure I wasn’t bringing in any concealed weapons, I was escorted to a training building on the property. Within one of the rooms sat four men playing cards around a table. Before I could sit down and get settled, the man sitting at the end of the table answered his phone. “Nobody’s hurt here, but see how hurt my family is now that I don’t have a job,” he said. He hung up, put down the phone and grabbed his hand of cards. It wasn’t the hostage scenario I imagined, but events escalated as time went on. The captor, played by trooper Dave Bennett was supposed to be a disgruntled and recently fired information technology company employee, who, upset over the situation, took some of his former co-workers hostage. The scenario began around 9 a.m., and Prouty and Sgt. Donovan Daly filtered in and out of the building, monitoring the work of the negotiators and Bennett’s role as the captor. “I’m pretty much just making it up as I’m going along,” said Bennett. Bennett’s enthusiasm for his role faded as the morning wore on though. He accepted a phone from negotiators around 11 a.m., but demands for “diet fizzy pop” fizzled into conversations with the negotiator that were inaudible from my location. He released one hostage in exchange for pizza for the group, but the situation wasn’t moving forward. Prouty returned and warned us that the SWAT team would soon intervene. “Things are going to get really chaotic,” Prouty said. It was a training exercise, but that didn’t mean there wasn’t some risk involved. The team was armed with pellet guns and Simunition, non-lethal training ammunition that resembles paintball pellets—so moments before they entered, Prouty outfitted us in earplugs, neck guards, and helmets. They entered with a bang. First with the door. Then with two stun grenades—also known as flashbangs, which do exactly what the name implies. “Hands up, hands up,” they called, pointing their guns at us. A group took down Bennett and the hostage near him, while another group told the other hostage and me to get down to the ground. “Hands at the small of your back,” they told us. They zip tied our hands and escorted three of us to another room, leaving Bennett behind. They checked us for weapons and brought us into another building to see how the events unfolded from our perspective. The intervention happened so fast after hours of sitting and waiting, but how many people can say they’ve been held hostage? Anyone taken a bottle to their windshield on Highway 3? Russell, a man from the other side of Puget Sound, wrote me recently with a scary story. He was driving on Highway 3 Saturday night. “I was going under the Loxie Eagans overpass somebody threw an object from the overpass hitting my windshield,” he said. It didn’t shatter his windshield but it cracked badly. Russell was pretty shaken up by it. Wisely, he reported it to the Washington State Patrol. No arrests have been made, however. Has anyone had something like this happen to them? The stolen Escalade had traveled through two countries and across many state lines before it landed in Washington, where Bremerton police inadvertently sold it at an auction. We told you about this particular Cadillac Escalade in early October, after the unknowing purchaser of the SUV had it seized by the Washington State Patrol. In turn, he filed a lawsuit against the Bremerton Police Department. The city’s lawyers have been digging into the case to figure out what happened. While the lawsuit continues, here’s what they’ve found out thus far: the Escalade was seized in a 2003 coke bust and, per Washington law, forfeited to the police department. Police checked with the Washington State Department of Licensing to see if it was stolen. It wasn’t until summer 2011 that police here found out the Washington State Patrol had seized the SUV, finding it was stolen. State patrol officials informed the city the Escalade was stolen off an auto dealer’s lot in Canada in 2002, before it landed in Indiana, Missouri, Michigan and finally, Washington. Much mystery still shrouds the how and why it went state to state, as it was never reported stolen in that time, city attorney said. But state troopers were able to uncover its identity by finding more obscure locations of its Vehicle Identification Number (VIN). The number had been falsified in its more obvious locations on the dash board in in the driver’s side door. Koontz said rarely does local law enforcement have specialized training at finding hidden VIN numbers and believes “the police department acted reasonably,” in backgrounding the SUV before auctioning it off. “Even so, the city is hopeful that it can reach a resolution to this matter to the satisfaction of all parties,” he said. I’ve not yet heard back from the lawyer for the plaintiff in the case, but I’ll let you know when I do. For everything, there is a first. 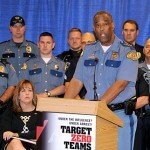 And on Wednesday, the Washington State Patrol’s chief will forge headfirst into the foray of social media. 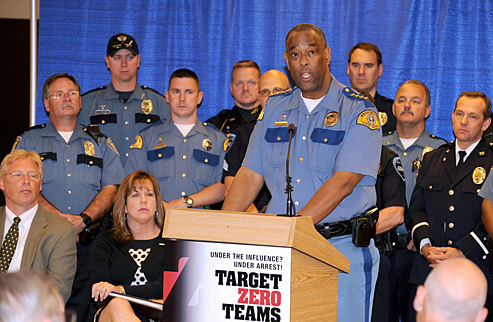 Chief John Batiste will host an hour and a half session of #askWSP on Twitter. From 2:30-4 p.m. Wednesday, he’ll be at ready to respond to whatever the Twittersphere throws his way. The chief said he’ll be challenged to stay to 140-character answers. “I have big hands, so I hope people will excuse any typos,” he said. UPDATE, 9/28: Batiste has been typing away this afternoon answering questions. To see them go here. Batiste will be assisted by staff who will quickly research any detailed questions. About the only topic off-limits will be those concerning active investigations. Questions that demand more than 140 characters will be more fully answered on WSP’s Facebook page. The many pooches that patrol the Washington State Ferries may find some petty crime this week as they make their usual rounds through the ferry loading lots. Generally seeking to sniff out weapons of mass casualties, the dogs, trained to detect a multitude of explosive chemicals, will “alert” on carloads of fireworks — and if troopers find you’re carrying illegal ones, you’ll “be subject to criminal prosecution,” according to a Washington State Patrol press release. To see which fireworks are legal and which are not, click here, whether you’re planning to go to the tribal fireworks establishments or just head to a local stand. Drivers beware: There’ll be no easing into a new state law that makes it illegal to talk on a cell phone and drive without a hands free device. 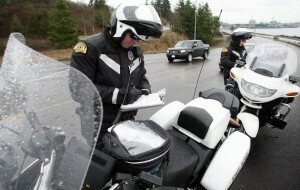 Come June 10, Washington state troopers will be giving out $124 tickets. 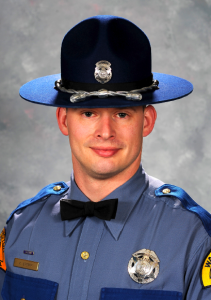 Troopers said that while it’s common for the state patrol to offer an “educational grace period when a new law requires drivers to change long-standing behavior,” there’ll be no such thing this time around. It had already been illegal to text and talk on a cell phone without a hands free device, but law enforcement couldn’t enforce it unless the driver had committed another “primary” offense. Even so, troopers have written 3,000 tickets and given 5,900 warnings since that law went into effect. I’m seeing some pretty good deals on hands free devices around the web. Better to pay the $40 or so for one now than have a $124 ticket and a lecture from a state trooper. compliance. In some cases there was outright defiance. injuries by eliminating these two major sources of driver distraction. The fine for a violation is $124.